The night before I sat for my CBMT exam, I was feeling totally burned out. I was nervous, felt like I couldn’t possibly fit any more information into my brain (which was already overflowing at that point), and was ready to fast forward through the test so I could just start my career already. But you never know when opportunity will come a’knocking. It could be on the busiest day you’ve ever had, on the day you’re least expecting it, or, ya know…the night before you take the biggest test of your life. You always have to be prepared to take a leap of faith, grab your career by the horns and just GO FOR IT. That very night, I got a call from my friend Kat at Music Therapy Ed, who asked if I was interested in being their new course instructor. I knew this was my big break, so of course I said YES! 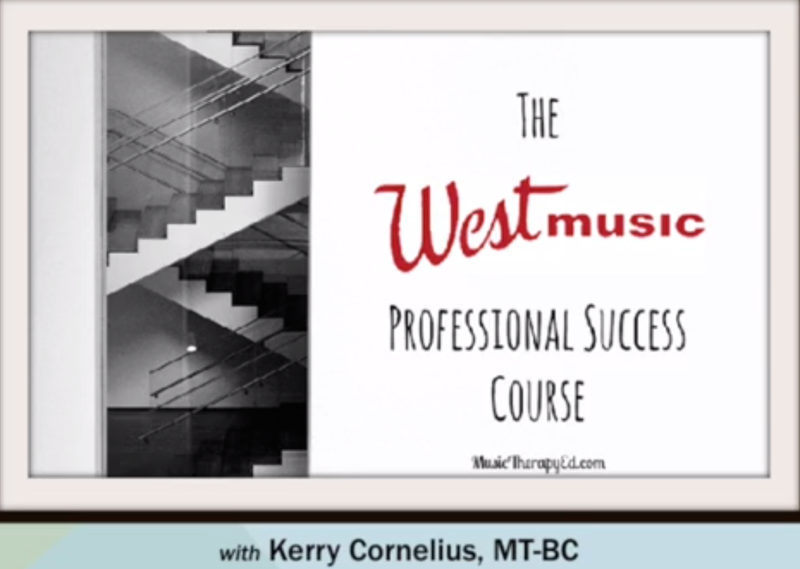 During this crazy/exciting process, I got to meet 12 amazing music therapists, learned a lot about myself (and technology–oh, iMovie), and had the opportunity to create something I’m really proud of. I’m so thankful to everyone who has helped along the way…AND am happy to say I’m already brainstorming for my NEXT project!